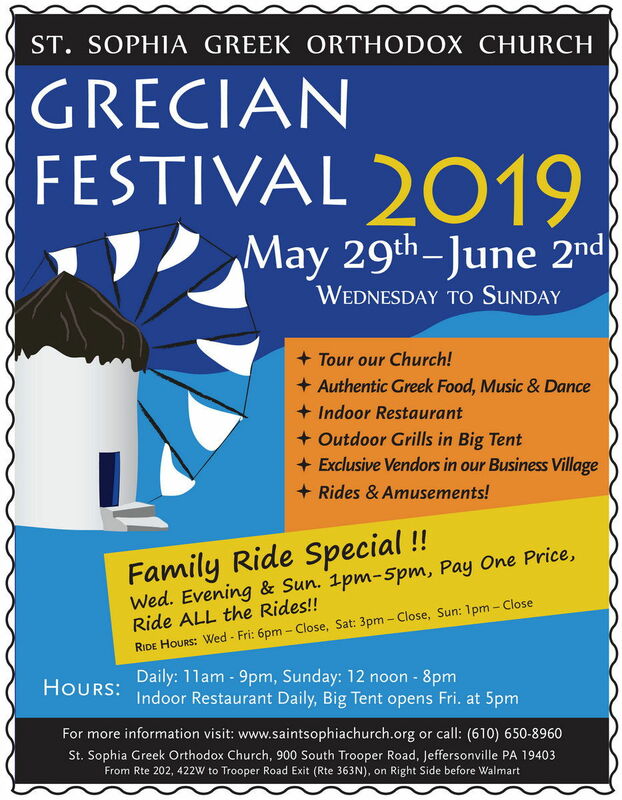 St. Sophia Greek Orthodox Church will be holding their 2019 Grecian Festival from Wednesday, May 29th through Sunday, June 2nd, located at the church grounds on S Trooper Rd in Norristown. 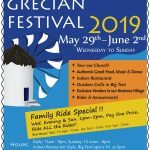 The five-day Greek Festival will feature a variety of authentic Greek fare, traditional music & dance, church tours, vendors, a midway with rides and games by Tons of Fun Shows, and much more! Family ride specials are available all night on Wednesday and Sunday from 1-5pm.